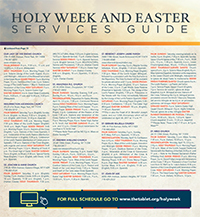 Holy Week begins on April 9th with Palm Sunday and Reconciliation Monday on April 10th. 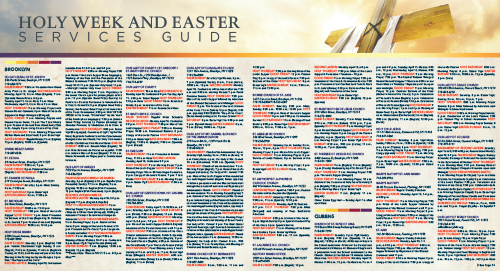 Here are listings for masses during holy week at parishes through Brooklyn and Queens. There are 186 parishes in the Diocese of Brooklyn. Find a parish near you.